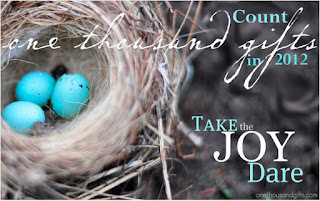 Join me at Woman to Woman Ministries on our journey through the Love Dare! The calendar tells us that yesterday was Easter. But if you have a personal relationship with Jesus, then the celebration of His resurrection continues on! We can continue to praise God each and every day. Three-hundred and sixty-five days a year, not just one. Friends, today continue to reflect on His great sacrifice of love and praise Him. 189. God sending His one and only Son to pay my debt. 190. Jesus willingly taking a beating and the cross for me. 191. The fact that He is no longer on the cross or in the grave, but He is alive! 192. Time spent reflecting His great love. 193. Beginning a new book study with my wonderful Bible study gals. 194. Working on an Easter craft/gift for my family. 195. Our church's Easter Outreach and all of the church family that worked so hard to help. 196. Talking with my children about the true meaning of Easter. 197. The excitement of my children as they get an Easter treat. 198. A beautiful Easter service at church. 199. Spending the afternoon with the family and watching all of our kiddos hunt for treats. 200. A friend ready to make the most important decision in his life, saying "I do" to Jesus. 201. Finding a new drum teacher for my boys so that we can start lessons back up. 202. A clean vehicle and my husband who cleans it for me. 203. Instagram finally being available for Andriod. 204. Chats with Woman to Woman starting this weekend. 205. The smell of shampoo on my child's hair after a shower. You have a great list, I especially like the first five. I wonder if people have ever stopped to think what life would be like if Jesus hadn't loved us enough to die for us so that we could be forgiven for our sins and would have a forever home in heaven. I am so greatful to Him. Thanks so much for the Easter gift for Papa and me. It was so sweet of you to take time out to make all of us a precious gift. It really is a precious gift, made with your own hands. Thanks!! I loved your list. We always have so much to be thankful for. Even when we think we don't, we do. :) I didn't know instagram was available for android. I am checking that out soon! Love all your blessings! So sweet! Great list, Jenifer! Love that Easter isn't just something we celebrate once a year! I am thankful for a beautiful Easter with family and friends and a family fun day today! Hi Jenifer - so true, we should celebrate and appreciate His sacrifice all year round. Great reminder. Love of all of these! So glad you had a great Easter.